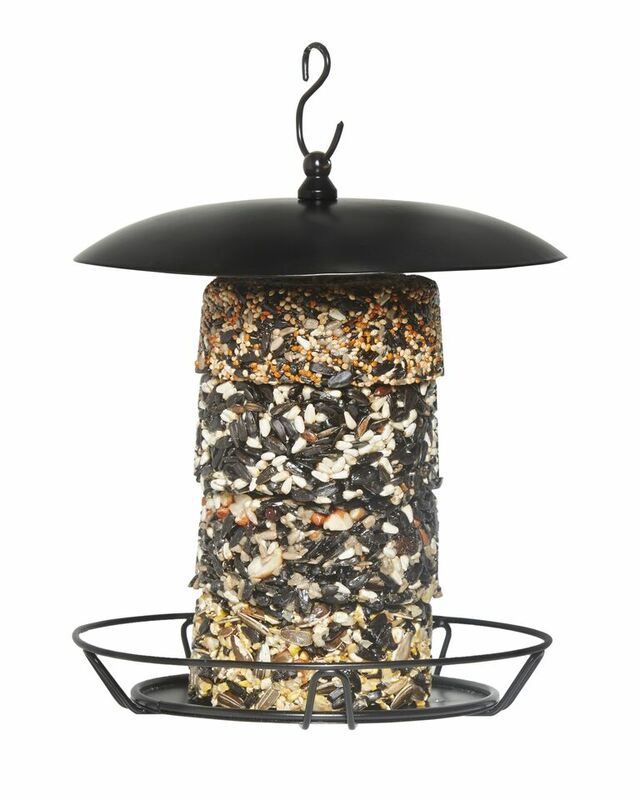 Feeder contains base, metal top and roof enclosure. 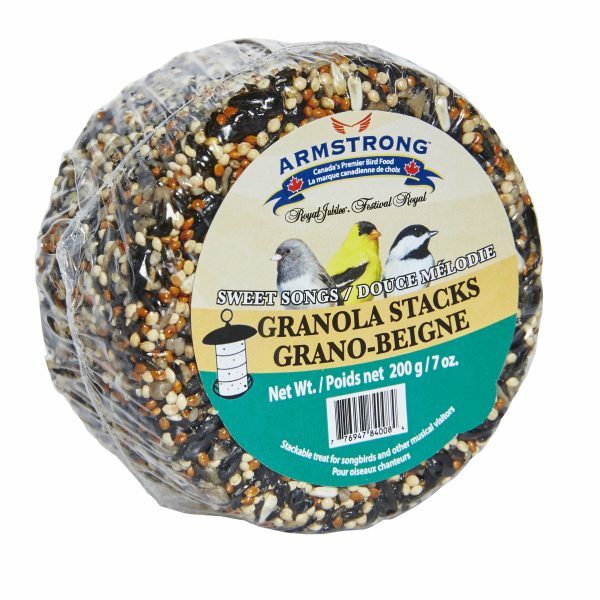 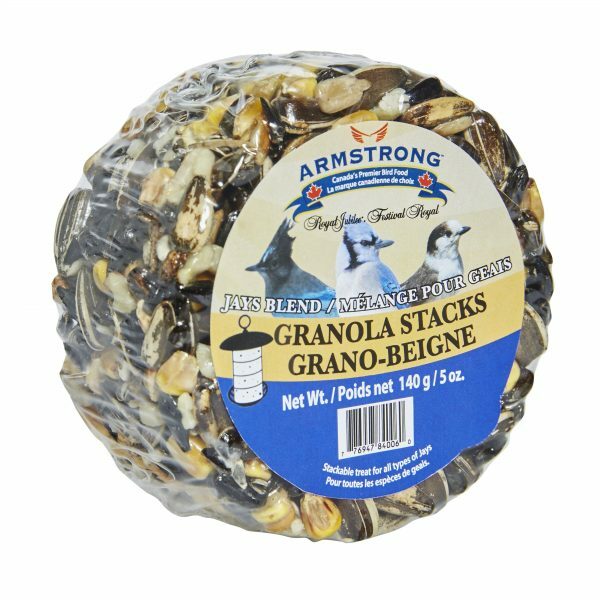 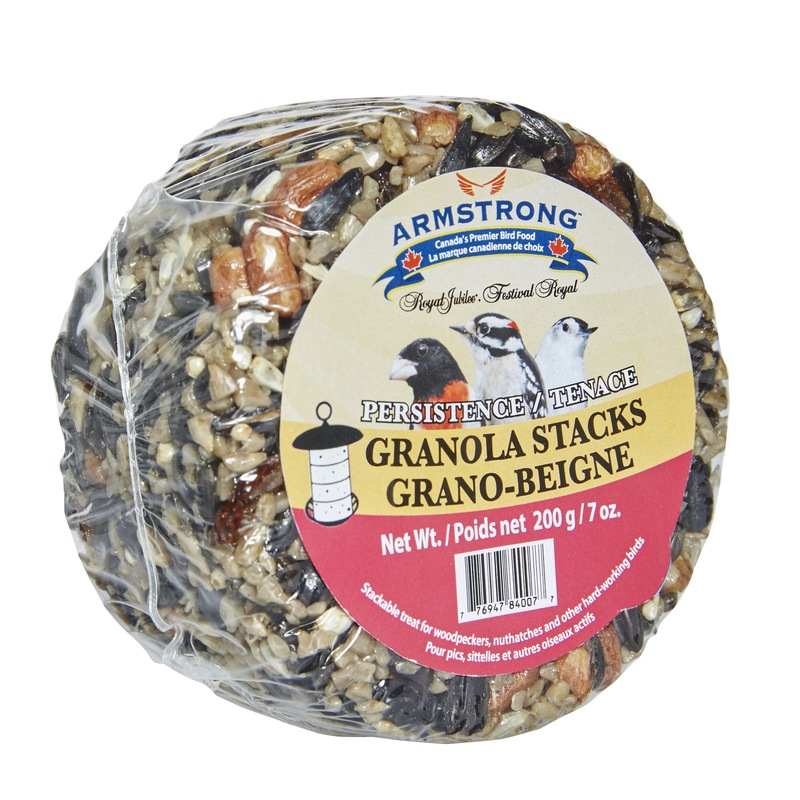 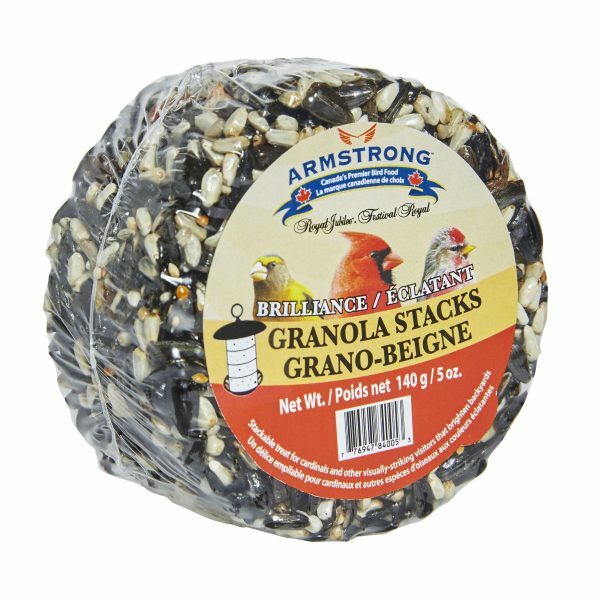 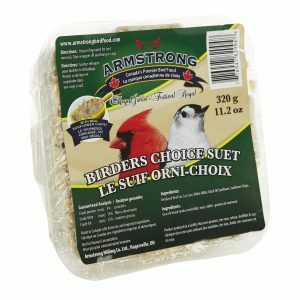 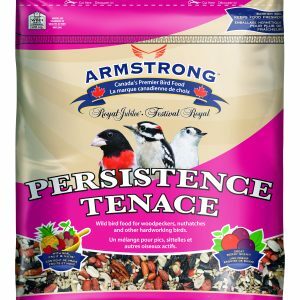 Holds up to 4 Armstrong Granola Stacks. 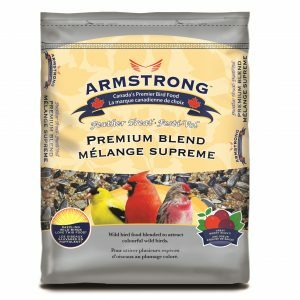 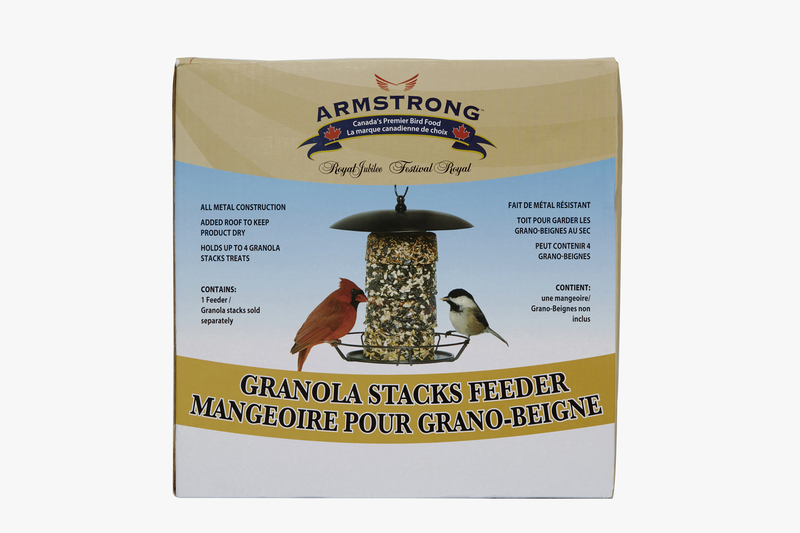 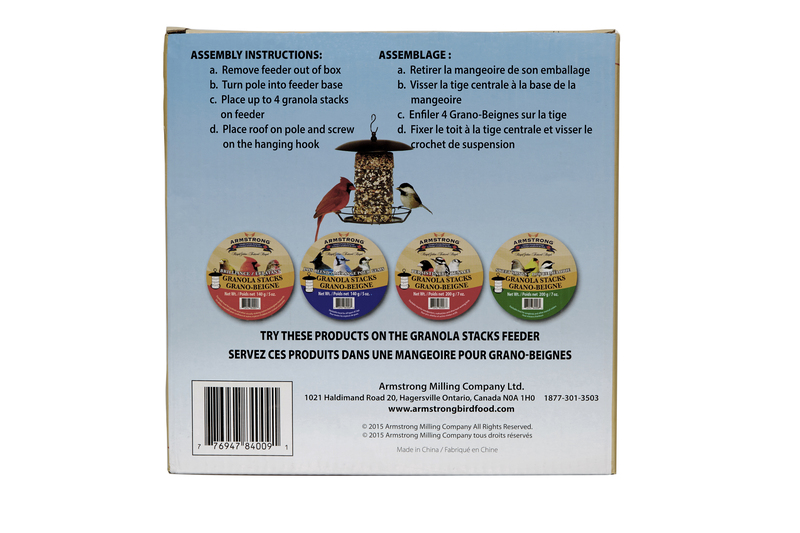 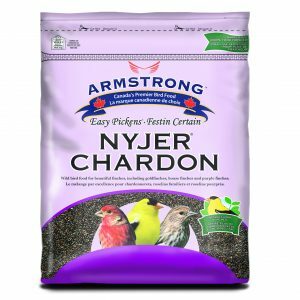 Metal feeder designed specifically for Armstrong Granola Stacks. Up to 4 stacks can fit on metal feeder post – choose multiple varieties to attract multiple kinds of birds.